Love me for my brains! We are all Survivors of Brain Aneurysms. They are all people we lost too soon to Brain Aneurysms. Sadly, half a million more people worldwide will die from ruptured brain anuerysms this year alone and half of those deaths will be people under the age of 50. We all need to be more aware. 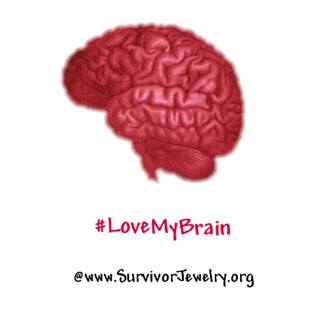 Brain aneurysm will affect 1 in 15 Americans. One will rupture every 15 minutes. 40% of those ruptures will be fatal. Be aware of your family history. Be proactive. Have open and honest conversations. Get scanned. For survivors and those fighting to survive, as well as for the people who love them and those who remember with love those we have lost, support is vital. Add-on to your own photos and show your support. Our support and our voices matter... so do our Brains!